Lahore is the capital city of the province of Punjab, the second largest metropolitan area in Pakistan and the 18th most populous city in the world. It is an important historical centre in South Asia. The Badshahi Mosque in Lahore was commissioned by the sixth Mughal Emperor Aurangzeb. Constructed between 1671 and 1673, it was the largest mosque in the world upon construction. It is the second largest mosque in Pakistan and the fifth largest mosque in the world. It is Lahore's most iconic and famous landmark and a major tourist attraction. 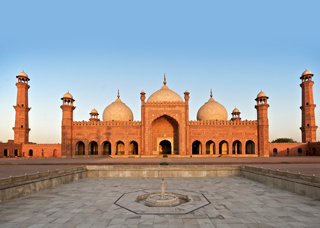 In 1993, the Government of Pakistan included the Badshahi Mosque in the tentative list for UNESCO World Heritage Site. The Lahore Fort, locally referred to as the Shahi Qila, is a citadel in the city of Lahore,Punjab, Pakistan. It is located in the northwestern corner of the Walled City of Lahore in Iqbal Park, which is one of the largest urban parks in Pakistan. The trapezoidal composition is spread over 20 hectares.Origins of the fort extend far into antiquity but the existing base structure was built during the reign of Mughal Emperor Akbar between 1556–1605. The Lahore Museum, was originally established in 1865-66 on the site of the hall or building of the 1864 Punjab Exhibition and later shifted to its present site located on The Mall, Lahore, Punjab, Pakistan in 1894.Rudyard Kipling's father, John Lockwood Kipling, was one of the earliest and most famous curators of the museum. Over 250,000 visitors were registered in 2005.The current building of Lahore Museum was designed by the well-known architect Sir Ganga Ram. The Museum is the biggest museum of the country. A number of rooms have been under repair for a long time and others still show a rather old-fashioned and often rudimental display of objects, with Urdu captions only. Anarkali bazaar is an important bazār (market) in Lahore, Punjab, Pakistan. It is one of the oldest surviving markets in South Asia, dating back at least 200 years. Anarkali Bazar is the oldest bazaar of Lahore, Pakistan. 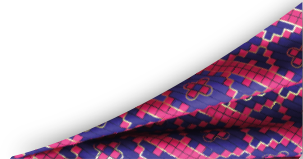 It sells textiles, garments, jewellery, and many other items. Anarkali Bazar is divided into two portions, the Old Anarkali Bazar and the New Anarkali Bazar. The Old Anarkali Bazar is noted for traditional food items while the New Anarakli Bazar is noted for its traditional handicraft and embroidery cloths.